This post has been conceptualized for IndiBlogger’s “Share Life Blogger Contest” in collaboration with Tata Docomo. Tata DOCOMO has launched Alcatel OneTouch Net phone to help you share life as you live it. Go check it out !! I present an idea for a new Smartphone App. We live in a World of uncertainties; you never know what will happen in the next few moments. People tend to take all kind of precautions to be able to counter or more realistically, face these uncertainties. Natural Calamities, Accidents, Crimes are some examples of these uncertainties and they have direct imminent danger on human lives (and maybe our near and dear ones). Keeping the above context in mind and considering the kind of progress technology has made in the Cellular technology, one thing comes to my mind, how to use this technology to decrease or at least be more prepared for these uncertainties. As we all know that the Cellular Network is maintained through a network of antennas and Cellular phones communicate through these antennas. At any point of time, the approximate location of a cell phone can be determined depending on which Cell Tower it is receiving signal from. So it might be possible for Cellular companies to find out the approximate location of a sim (phone). I have read several instances of phone companies helping Police in their investigations through Cell Phone tracking. When such a technology is there, why don’t provide it to commoners. 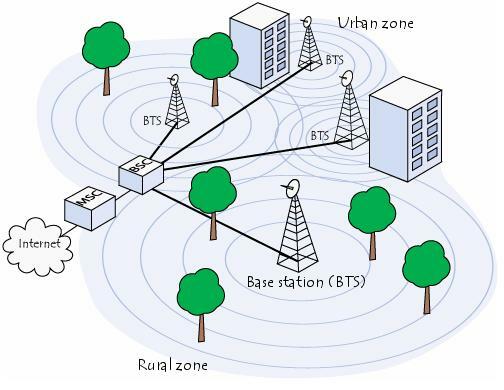 Based on the above bit of Info, I thought of an Application that will enable tracking of a phone based on the base station the phone is receiving signal from. Of course there will be some rules around which this application will be built. The Tracking will only be allowed given a written permission obtained from the tracked phone owner, you can’t just track any xyz number. This will enable tracking the location of any individual provided he/she is carrying the phone (and it is on and catching network). This application will be of great help to parents who want to keep an eye on their children and track their whereabouts. Also it will be helpful for managing small scale Sales teams and the sales manager will be able to track the team on the field and of course catch any lies (if any). Needless to say it might also be used by people to track their spouses for safety reason (tell this reason only, else you are screwed ;-)). What I am trying to say is the uses of this application can be numerous and since it requires permission from a subscriber to be tracked, it doesn’t hinder anyone’s privacy as well. As all applications, it has some loopholes as well. This application has no use if the phone is switched off, is out of signal area, or is left at a certain place. But barring these situations it can prove to be an excellent application for people to be in touch with each other and know their whereabouts all the time. It shows an excellent avenue for Phone Companies as well to earn extra revenue (as they will be providing the service). All in all, it’s a win all situation. Now there are two main reasons it hasn’t taken off. Firstly, system constraints 🙂 .Telecom Techn0logy is run on (in 90% of telecom operators worldwide) third generation Eriksson IN’s (Intelligent network), and these systems are notoriously fickle and unreliable (which cannot be helped as they deal with immense loads of data). Which is why any maintenance or changes in Telecom products are done at 12 midnight (my sympathies to any telecommunication engineers reading this over the night shift). For an application to dig out in near real time (without unstablizing the whole system) the location of 1 among 10 mn subs across 18000 BSC ID’s is tricky and terribly sluggish in practice. Which is the reason even the police have to wait a couple of hours to get any answers while they are trying to use location tracking to solve crimes. Another reason why location tracking hasn’t taken off is that a cell tower approximately covers a 5 square mile area, so your application may tell you that your child is somewhere in Bandra, it will not be able to tell you whether he is in a movie hall in Bandra or in his evening tution classes. Similarly, a marketer may be sending out a targeted mobile ad for an eatery to somewhere who latched on to a nearby tower while traveling between Delhi and Mumbai. Very Informative post.All the best for the contest. Yes , I think BSNL and Airtel are offering such type of service but special subscription and fee is there. Ahh really !! I doubt it Sujith, bujt still will search there websites for info. Thanks for the comments..
Good day!This was a really fine subject!